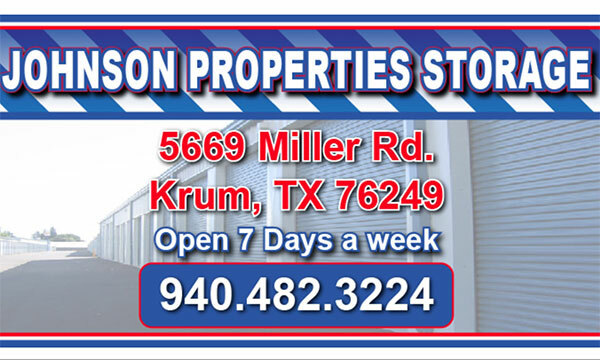 Johnson Properties Storage is a family owned and operated storage facility serving the Krum TX community since 1983. Johnson Properties Storage is open 7 days a week offering short term and long term leases for all your storage needs. Inquire about available discount on long term leases when you sign up today. 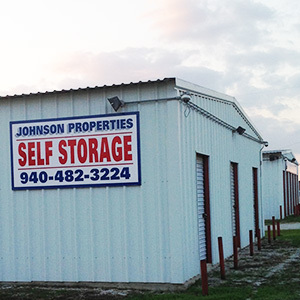 Johnson Properties Storage offers reasonable rates for commercial or personal and indoor or outdoor storage. Call us today, we have an option that is perfect for you.